Many foreigners have written accounts of their travels through the world’s largest country, where they have found friendship, mystery and tales of ravenous predators. 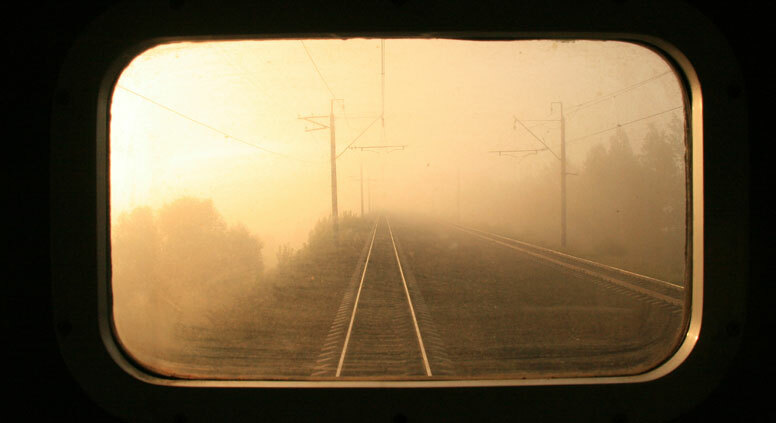 “A wild and eye-opening ride across the vast country on a train,” is how David Greene describes his Russian railway adventures in “Midnight in Siberia” (Alma, 2015). This entertaining, new contribution to the bulging library of travelogues about Russia has many of the generic features readers love: an exotic means of transport, a varied series of meals and meetings, and a steady supply of vodka. There was a similar premise underpinning Susan Richards’ “Lost and Found in Russia” (IB Tauris, 2009), but, where Greene’s encounters are often fleeting and translated, Richards’ poignant book is based on friendships forged over a decade in Russia’s “deep heartland.” Lines like “We sat on the verandah drinking fermented camel’s milk” segue into surreal stories of monsters and UFOs, superstition and belief. When Mühling meets the bearded men of Popovka, they inveigh against foreign imports: “The balalaika? An Uzbek lute. The matryoshka doll? A toy from Japan.” Their own rituals involve dressing up in wolf skins, singing Slavic songs, and visiting the birch-scented banya. Russian steam baths feature in many of these travelogues. Bryon MacWilliams structures his whole journey around a series of banyas. In his book “With Light Steam” (Northern Illinois UP, 2014), he even takes on a culturally enlightening job as a bathhouse assistant. This type of thematic unity provides a useful thread for some authors to knit together their experiences. From Richard Davies’ beautiful, photographic odyssey around the wooden churches of the Russian North to Oliver Bullough’s demographic investigation, retracing the erratic footsteps of Father Dmitry, in “The Last Man in Russia” (Allen Lane, 2013). By contrast, Greene is proud of the fact that he has set out on his adventures with “a deep curiosity, and no agenda.” This is both strength and weakness. His open-minded dialogues with a variety of people across Russia reflect a diversity of views and lifestyles, but his account occasionally feels like a child’s scrapbook: collecting train tickets, noodle-wrappers and anecdotes with indiscriminate delight. Adventures on trans-Siberian railways have provided generations of travel writers with great material. Christian Wolmar, a transport expert who is busily campaigning to be elected Mayor of London, recently wrote a comprehensive history of the railway, “To the Edge of the World” (Atlantic, 2013). Travelling round Russia by boat, bike or bus provides other writers with new angles. Wallace Clark pieced together an account of his son’s epic circumnavigation by yacht in “Sailing Round Russia” (1999). He quotes from one of the earliest foreign visitors: Richard Chancellor, who entered Russia via the White Sea in the 16th century and visited Ivan the Terrible. Thom Wheeler, “One Steppe Beyond” (Summersdale, 2011): charts a journey across Russia in a VW camper van in the late 1990s. Gregory Yeoman, “Riding into the Sunrise” (Gregory Yeoman, 2013): follows the author’s 9000-mile cycle trip across Russia. Rob Lilwall, “Cycling Home from Siberia” (Hodder & Stoughton, 2010): also documents a bike trip where the author encounters Siberian locals with tales of hungry wolves. John Cochrane, “Pedestrian Journey through Russia” (Cambridge University Press, 2014): an account by a 19th-century Scottish explorer who walked around the world, meeting his wife in Kamchatka in the Russian Far East.